One of the best tools for making new contacts is to bring a unique visiting card that reminds your new contact as to why they should contact you and not someone else. There are a few things to keep in mind when designing your own visiting cards for the card to be able to fulfil its purpose and be memorable long after the meeting has taken place. Your visiting card should always be updated with relevant and accurate information. 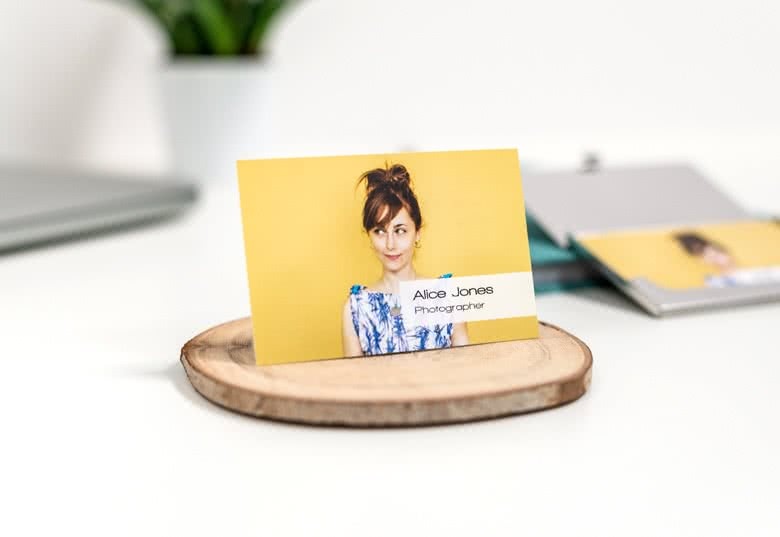 If your business card has an incorrect phone number, it may give your contact a negative impression of you, as it shows that you are not particularly careful about details, and they may ultimately choose to hire someone else. Therefore, be sure to proofread the cards before placing your order. 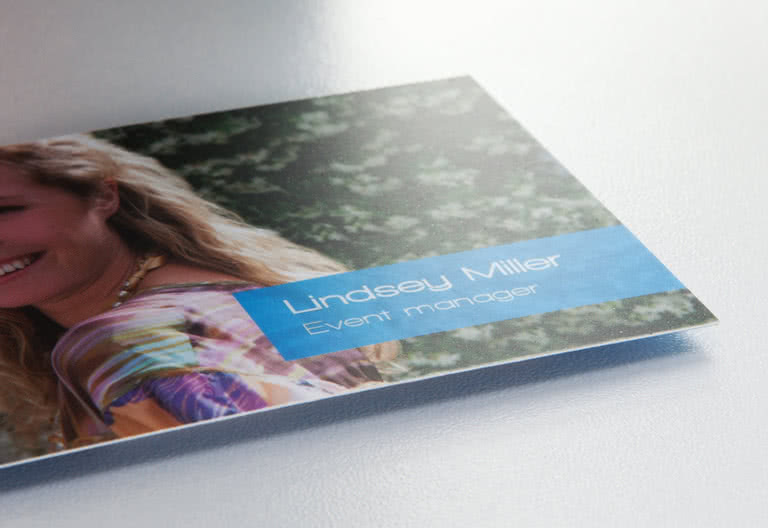 At smartphoto, you can print business cards with a picture, and the picture plays a big role when it comes to reminding your new contact about who it was that they had that wonderful conversation with. After a trade fair where their pockets have become filled with different business and visiting cards from different people, the picture may be the determining factor of why they contact you or not. There is also an advantage if the image can be linked to the industry in which you work, for example, that the picture represents a portrait with you and a horse if you work in the racing industry, because it will also be a reminder of the service you offer. Another way to remind your new contact about why the person should contact you is to have a slogan on the card, which makes it more inviting. 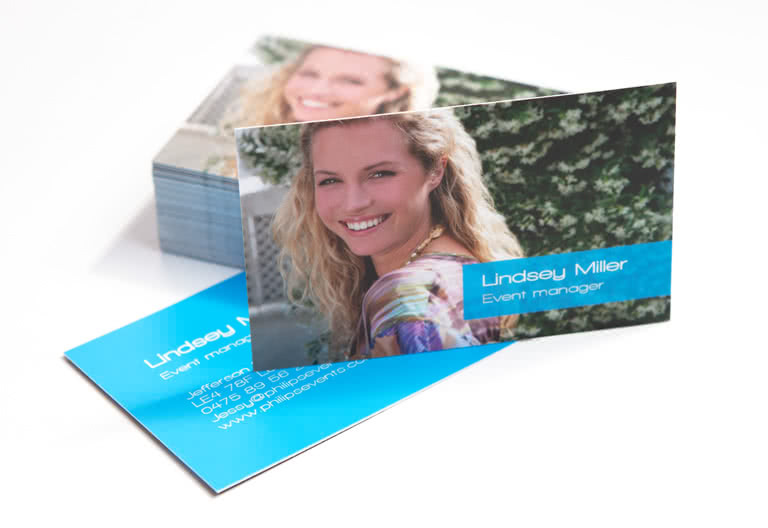 Create personalised business cards online! A good business card is much more than just a piece of paper with your personal information on it – it's a personal signature that does not get lost in the digital flood. A visiting card can be the deciding factor as to whether a new opportunity becomes something more than just a possibility; the card might turn out to be the little piece of the puzzle that makes your dreams and visions come true. 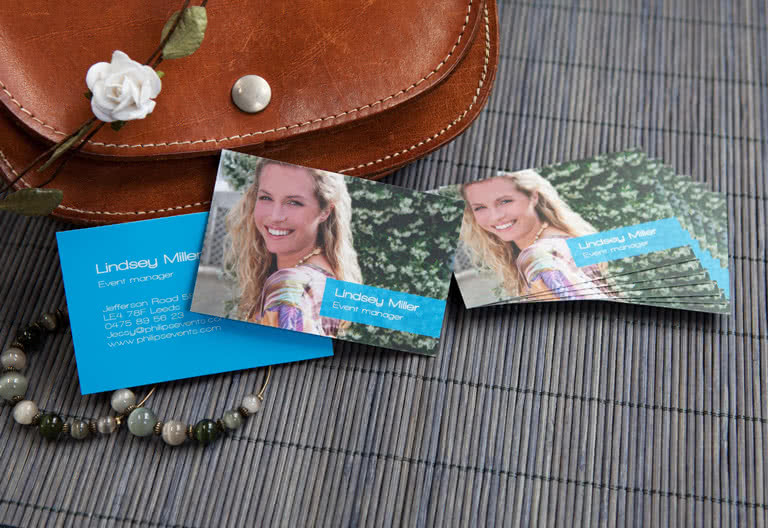 At smartphoto you can create custom visiting cards with an image and text that suits you and who you are. Creating personalised and professional visiting cards at smartphoto is easy. The cards are designed directly in our webshop, where you can choose whether the cards should be portrait or landscape and you can customise the cards’ layout to reflect you and your profession. The visiting cards have a stylish matte surface and come in packs of 50. 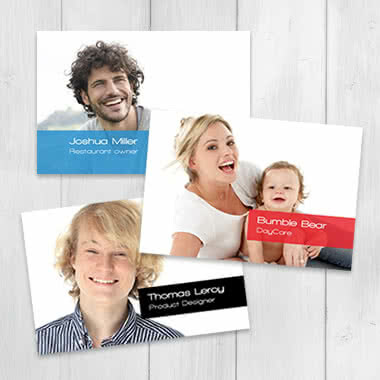 Order visiting cards with smartphoto today!